How do I set up a quiz to be sent to my institution's student information system (SIS)? If your institution is using a student information system (SIS) for grading purposes, you can set up a quiz to be sent back to the SIS. However, you must first specify which quiz(zes) in the course should be sent to your SIS as part of the grade publishing process. Each quiz must be modified individually. However, your institution may have already enabled an option for all quizzes to be configured for your SIS. 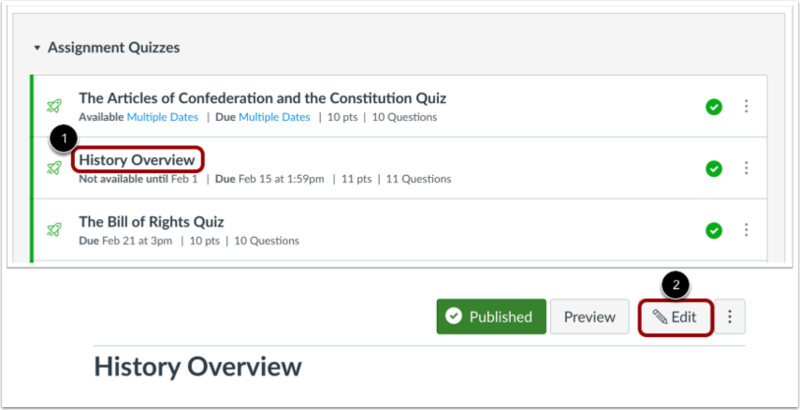 Once a quiz is set up to be sent to your SIS, the Assignments Index Page and Quizzes Index Page let you enable or disable a quiz by clicking the SIS sync icon next to the quiz. To set up a quiz that has already been created, click the name of the quiz  and click the Edit button . In the quiz options, check the Sync to [SIS] checkbox. 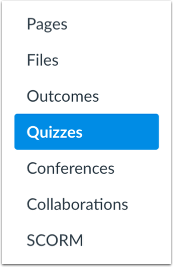 Note: For new quizzes, you can click the Save & Publish button. If you cannot save your quiz and you receive an error message, your institution may limit assignment names and/or require due dates. 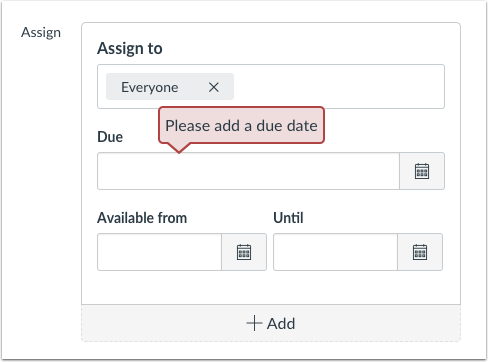 The error will show which requirement needs to be resolved before the quiz can be enabled to be synced to your SIS. Correct the error then save the quiz again. Previous Topic:How do I view practice quiz results in a course? Next Topic:How do I create an assessment using Quizzes.Next? Table of Contents > Quizzes > How do I set up a quiz to be sent to my institution's student information system (SIS)?